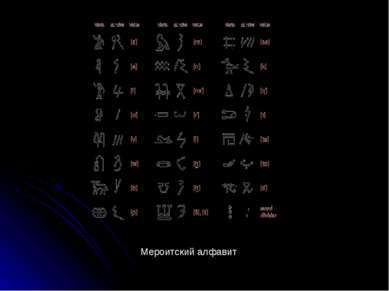 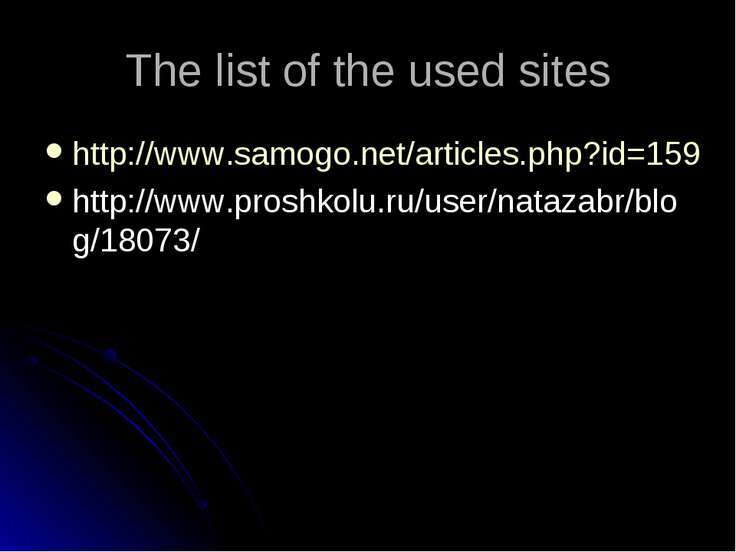 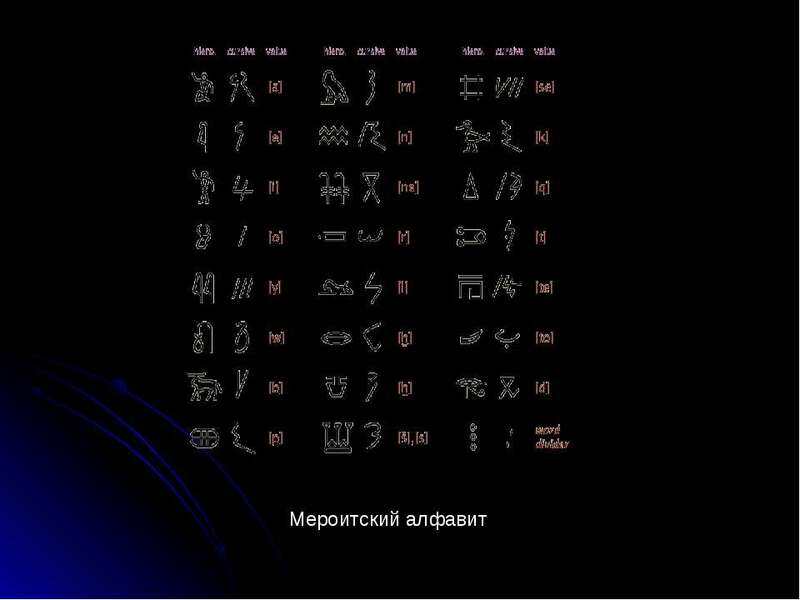 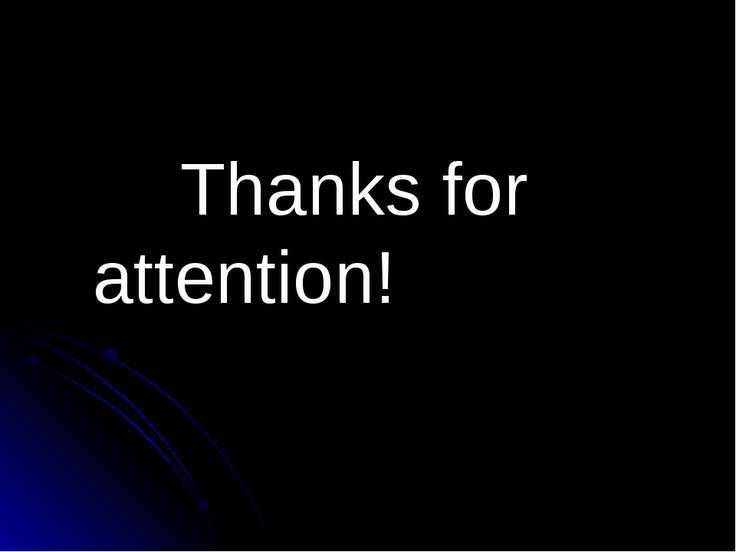 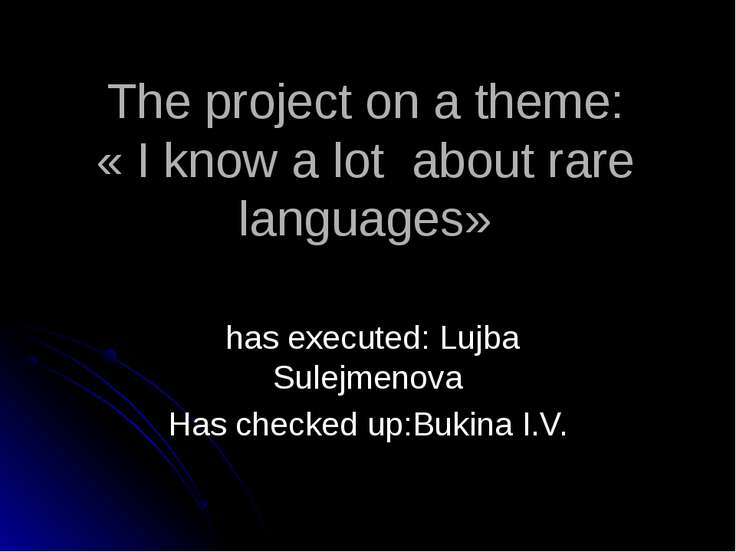 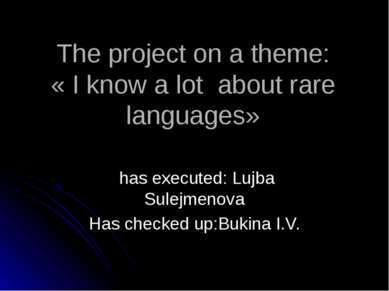 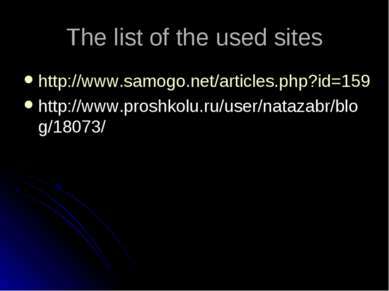 The project on a theme: « I know a lot about rare languages» has executed: Lujba Sulejmenova Has checked up:Bukina I.V. 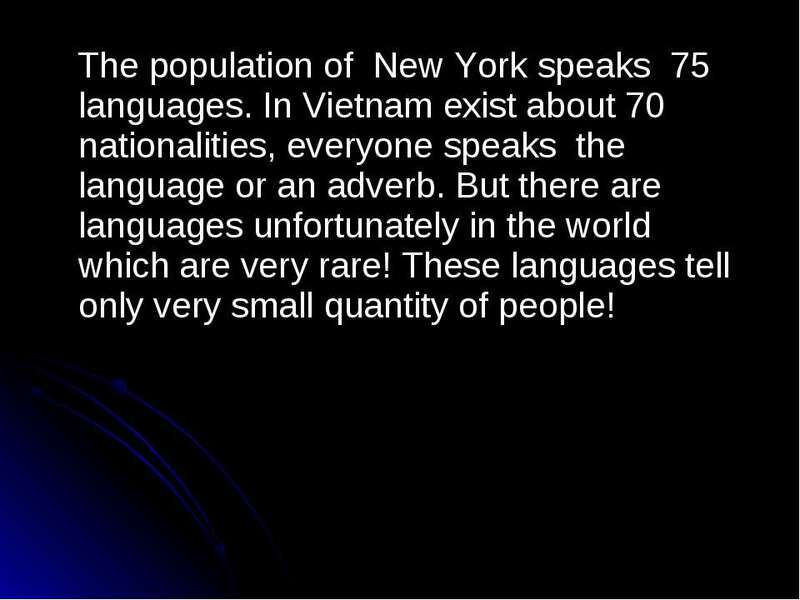 The population of New York speaks 75 languages. 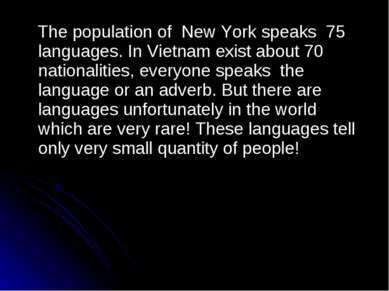 In Vietnam exist about 70 nationalities, everyone speaks the language or an adverb. 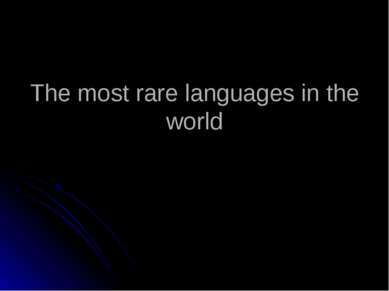 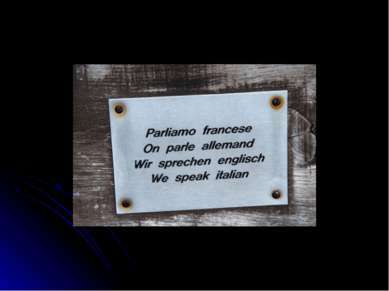 But there are languages unfortunately in the world which are very rare! 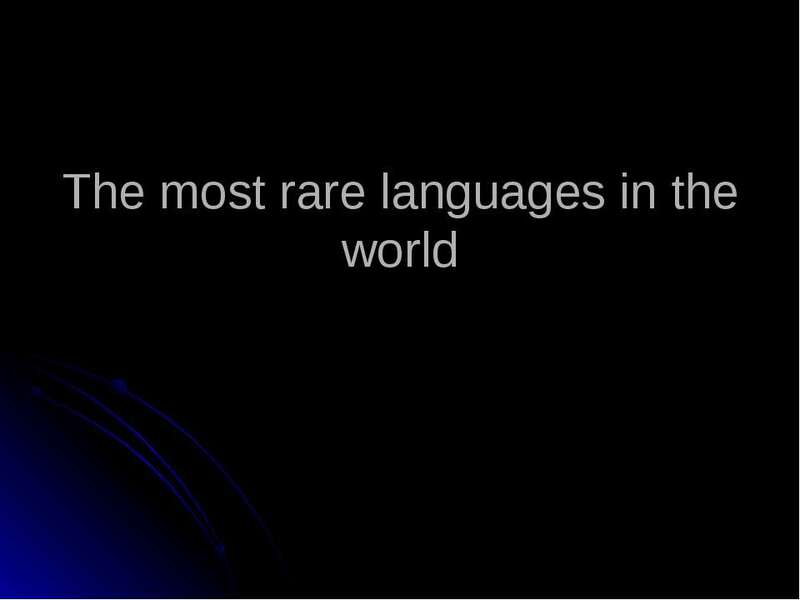 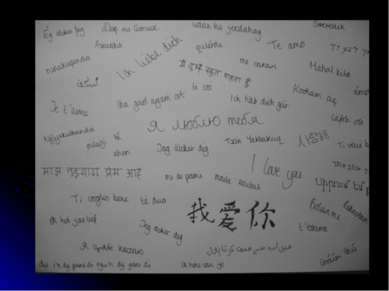 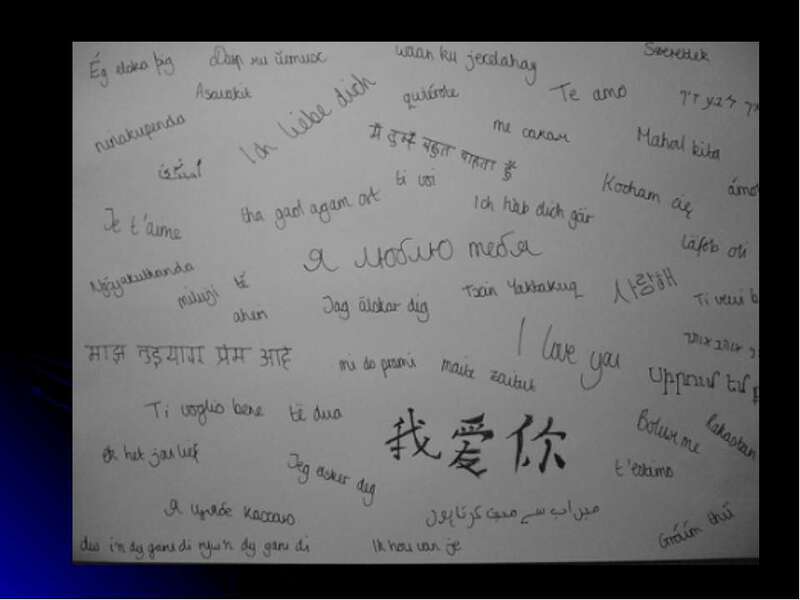 These languages tell only very small quantity of people! 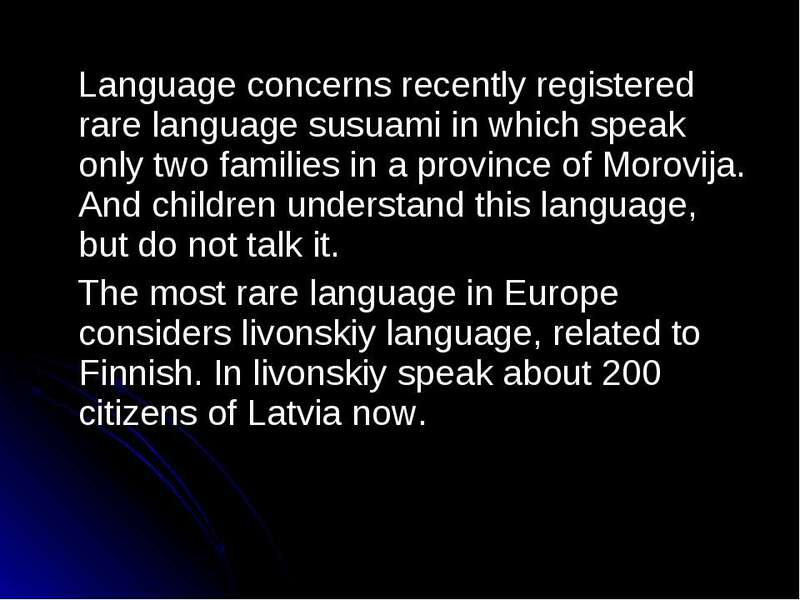 Language concerns recently registered rare language susuami in which speak only two families in a province of Morovija. And children understand this language, but do not talk it. The most rare language in Europe considers livonskiy language, related to Finnish. 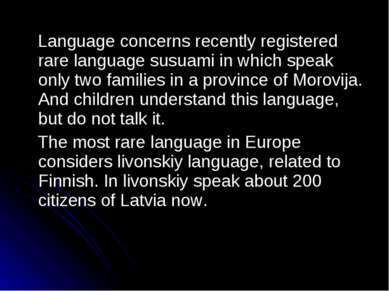 In livonskiy speak about 200 citizens of Latvia now. 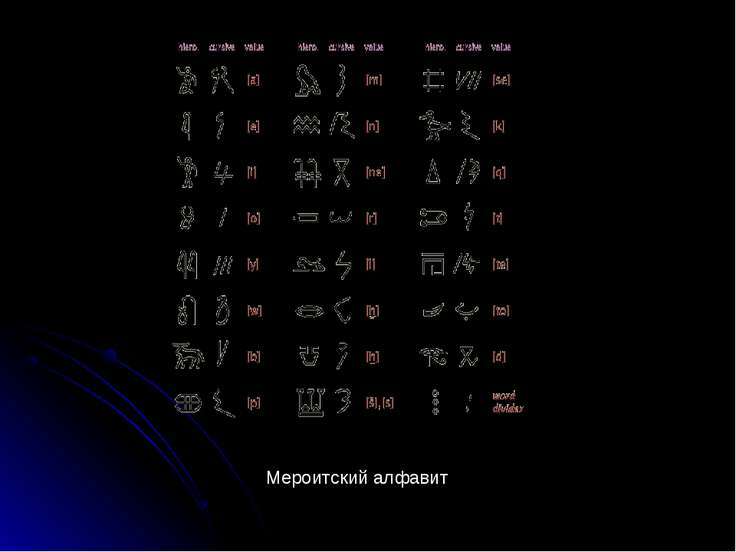 The rarest spoken language on our planet is language bikya. 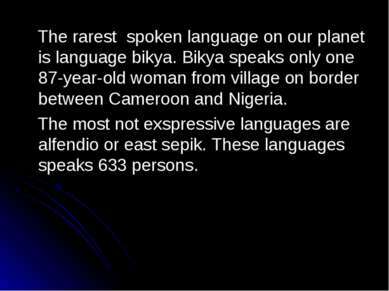 Bikya speaks only one 87-year-old woman from village on border between Cameroon and Nigeria. The most not exspressive languages are alfendio or east sepik. 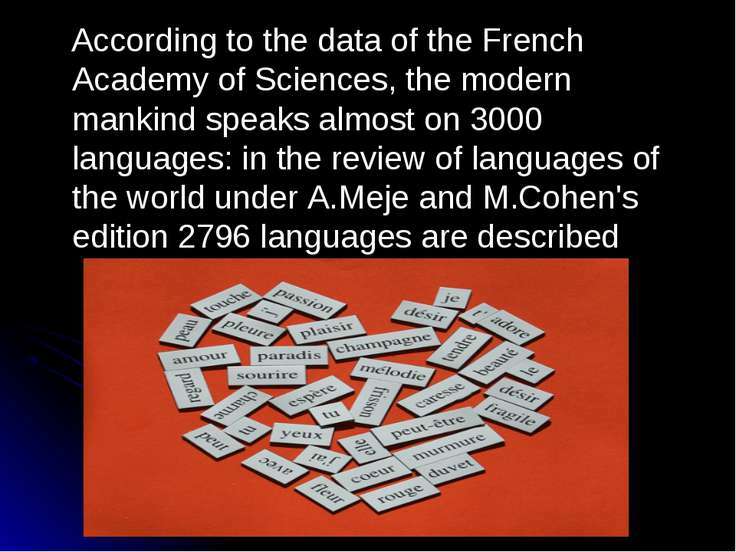 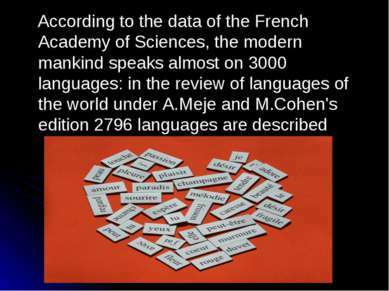 These languages speaks 633 persons.